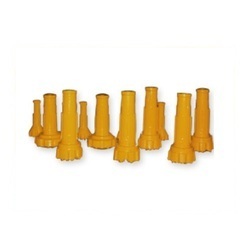 Prominent & Leading Manufacturer from Hyderabad, we offer dth drilling accessories. Matching with the changing requirements of customers, we manufacture and supply a large assortment of Drilling Accessories. Our products are manufactured as per the international industry standards and in various specifications. The offered products are used for quick and clean drilling in various industries. Besides these, the products we offer are sturdy and demanded in the market for their long lasting life. Looking for DTH Drilling Accessories ?